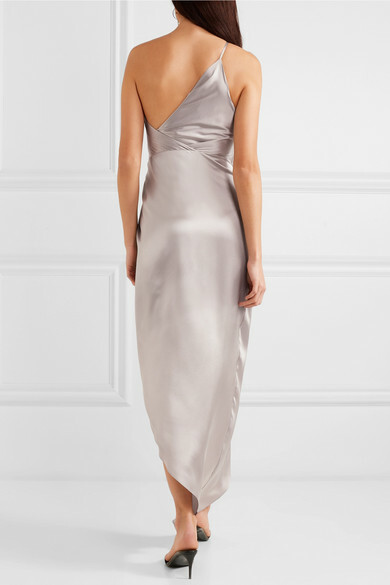 This one-shoulder showstopper by Michelle Mason will ensure all eyes are on you at any event. 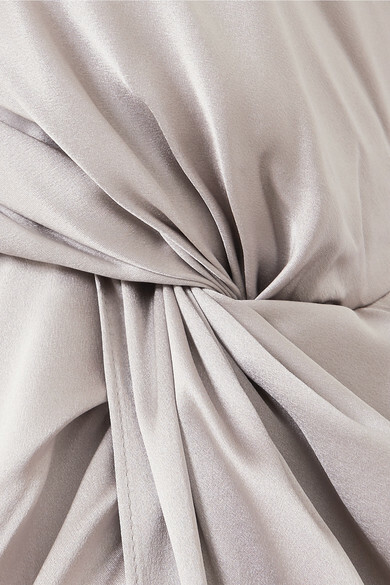 Cut from lustrous, weightless silk-satin in a metallic silver hue, the twisted front, which pulls in the thigh-grazing slit, will flatter most body shapes. Take styling tips from model Carmella Rose, who wore the label's dress with strappy heels and diamond-encrusted jewelry. Shown here with: Hunting Season Shoulder bag, Stella McCartney Mules, Chan Luu Earrings.